Regarding the Typeable PDF file above; I make no guarantees regarding the usability of the file. If the file does not work as expected, then it just doesn't work and I cannot help with that. My advise - Before devoting any time with the file, type some sample text in it, save the file, close the file, and then open the file again to see if the sample text is still there. If it isn't, then this file would serve only as a type-then-print sort of file. 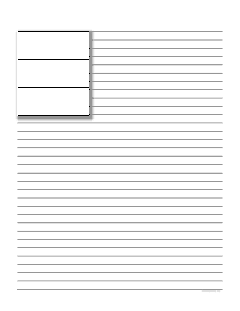 This ruled paper has two columns. The left column is more narrow than the right column. 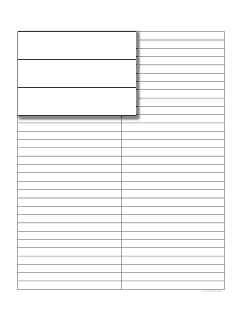 This ruled paper has two even columns. This file doesn't fit in this category and will be moved once I set up a new place for children's journals. For now, it is here. To use: SAVE the file to your computer. 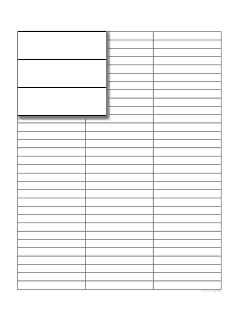 "I created a journaling form in excel for my kids to use. It is a weekly page where they can track the positives. Each day of the week has a short entry for "What I did today." There are twelve blocks to note important things they've learned, events, problems they've solved, books they've read, and more. Each little box area includes a color picture. There is a place to have them note the most meaningful thing they've done for the week. 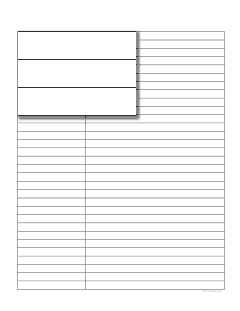 A few of the pages in the excel workbook include some cover choices."